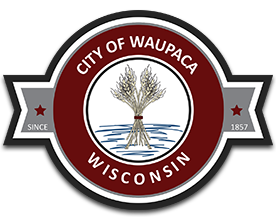 The City of Waupaca Technology division is responsible for oversight and guidance of all technology within different City departments. The Technology division encompasses Information Technology; Community Media and Waupaca Online (wireless ISP). The City of Waupaca operates an Internet Service that provides wireless internet service to residents in the City and surrounding areas. Service is available with reasonable monthly rates. For more details visit www.waupacaonline.net or call 715.942.9919. Waupaca Online is a great option for area residents and also specializes in serving areas where DSL or Cable internet are not available. The City of Waupaca operates a government access cable TV station and low power FM radio station. Win-TV can be found on Charter Cable Channel 991. Waupaca Radio is heard on FM 96.3. Win-TV and Waupaca Radio features government meetings, community events, general interest programming and entertainment. Learn more about free downtown Wi-Fi! Our mission is to provide leadership and guidance in all aspects of technology to enhance government services. Please feel free to comment and offer suggestions to us.